Are your kids super hero and technology junkies? My kids would love to be. I honestly think sometimes that is what they aspire for. My children love electronics and their screen time but I do limit them as I think it is important that children engage in active play. 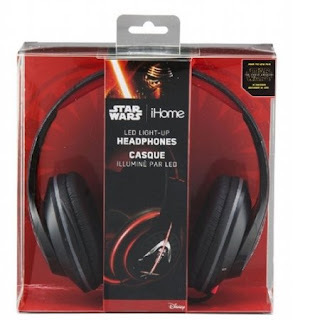 I love these StarWars LightUp Headphones from EKids! My kids love them even more! I love that they allow the children to get in their screen time and they have head phones so that the whole house doesn't have to hear it. My children love watching YouTube I put on parental controls though to be sure they watch age appropriate videos. 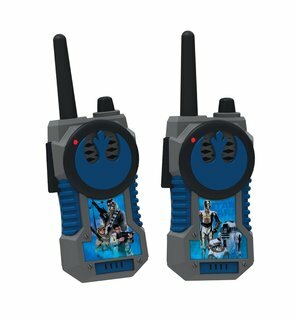 These are perfect for plugging into your laptop or computer and kids can enjoy their own screen time at whatever volume they like. My middle son loves listening to music. He wears his Star Wars LightUp Headphones now when he listens. He loves the different light features. The headphones have four different color modes, slow or fast color blend, single color glow and pulse to the music. They provide a rich and detailed audio experience! With adjustable headband and padded ear cushions, in-line volume control, rechargeable battery, 12 hours of lighting effects 4 different light up modes: color hold, fade, quick flash or pulse to the music; 40mm sound drivers they truly deliver a rich detailed audio experience! Their performance is accented by sleek & contemporary design; adjustable headband and padded ear cushions for a custom fit; in-line volume control for added convenience. The 6' cord allows for plenty of movement. My children truly enjoy EKids StarWars LightUp Headphones they make a truly wonderful gift for any child this Valentine's Day. EKids has several character gifts to choose from Trolls, Cars, Captain America, Frozen and so many more! 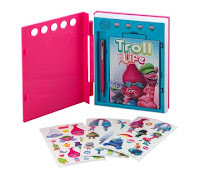 They have girls and boys gifts like Walkie Talkies, Dancing Trolls and Digital Journals. You will find something for every child on your list! Make sure to shop EKids below for all your Valentine's Day children's gifts!